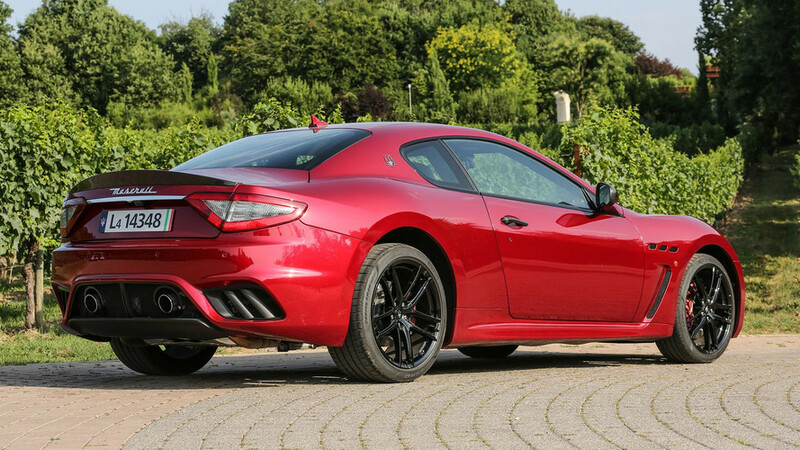 What’s old is new again; Maserati’s GranTurismo is long in the tooth, but full of charm. Revival cars are popping up all over the place these days. Singer Vehicle Design has been creating brilliant new/old Porsche 911-based masterpieces since 2009 using what it considers the best of the air-cooled Porsche 911 bits with modern ancillary components from carefully chosen suppliers. Icon 4X4 treats vintage Toyota FJ Land Cruisers and Ford Broncos to a similar treatment. Eagle makes an extremely well-executed new-stuff/old-car pastiche out of forlorn Jaguar E-Types. And Maserati builds an excellent revival of the 2007 GranTurismo called the 2018 GranTurismo. Maserati – or more accurately, Pininfarina – did get something right the first time. How many other cars introduced in 2007 still look this good today? 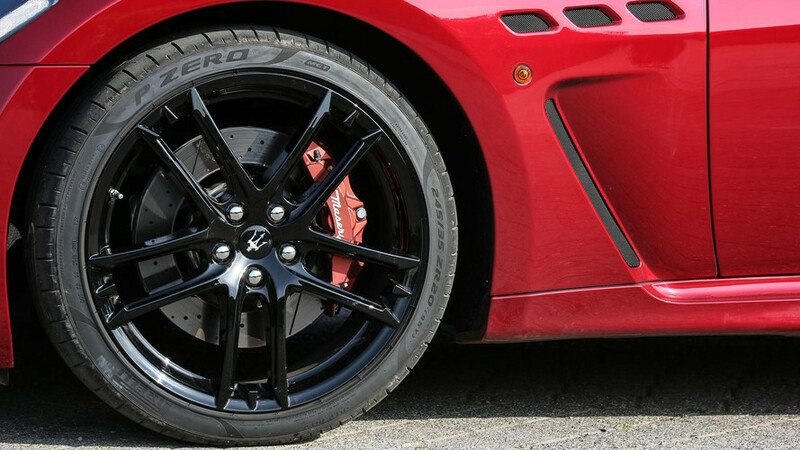 To Maserati’s credit, premium sports cars and GTs like the GranTurismo do tend to have a longer shelf life than mainstream sedans and crossovers. (Aston Martin offered its DB9 from 2004 until 2016 and is still selling DB9 derivatives today.) Besides, visually speaking, apparently Maserati – or more accurately, Pininfarina – did get something right the first time. How many other cars introduced in 2007 still look this good today? But a lot has happened in the last decade and change. 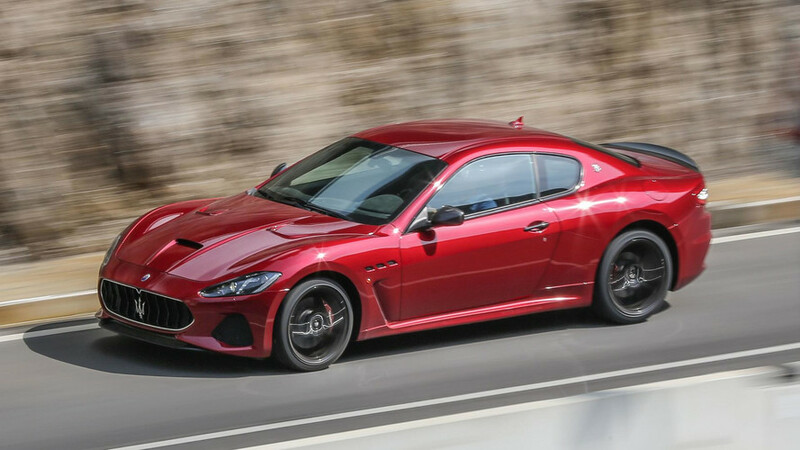 While the GranTurismo remains a curvy, 16-foot-long, rear-wheel-drive coupe, powered by a sonorous V8 with roots tracing back to the Ferrari 360 Modena, lots of little changes have been made in the years since in Maserati’s attempt to keep the GranTurismo on the cutting edge. Soon after the coupe debuted, a convertible arrived, and new trim levels were rolled out under the S, Sport, MC, and MC Stradale monikers. 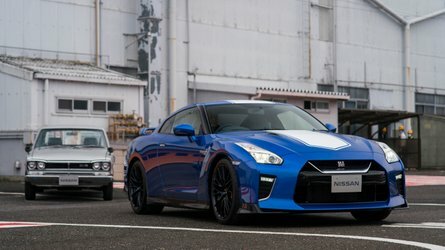 Not long after its debut, the original 404-horsepower 4.2-liter was joined by a more powerful 4.7-liter version of the Ferrari-built V8 for the sportier of the aforementioned trim levels, and the two mills were offered alongside each other for many years before the smaller engine was eventually dropped from the lineup. 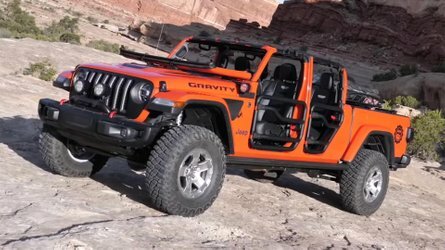 The most significant of these updates happened way back in 2013, bringing a new nose, new seats, and a power bump that raised output of the 4.7-liter V8 to a stout 454 hp and 384 pound-feet of torque. 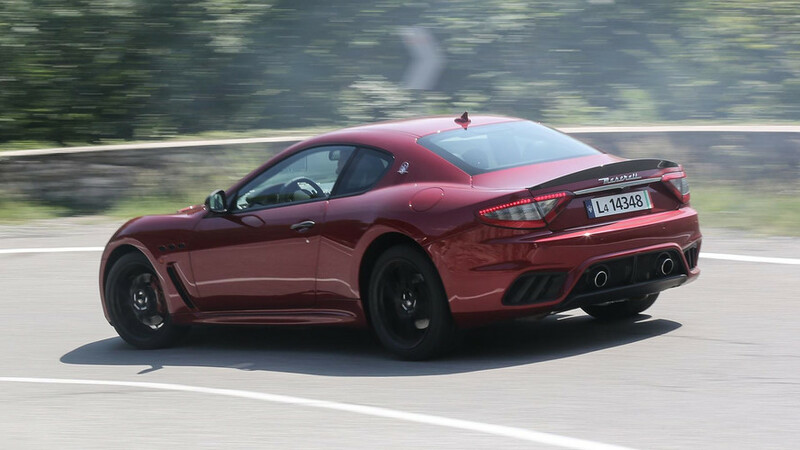 Fast forward to today – since not much has happened to the GranTurismo in the last five years – and I find myself in the picturesque Franciacorta region of the Brescia Province in northern Italy preparing for my first drive in a 2018 Maserati GranTurismo, beholding yet another new facelift. Both coupe and convertible GranTurismos are now offered in Sport and MC trims, each of which dons a new front clip featuring slightly redesigned headlamps, a hexagonal grille with angled slats and triangular (fake) ducts on the outboard edges. 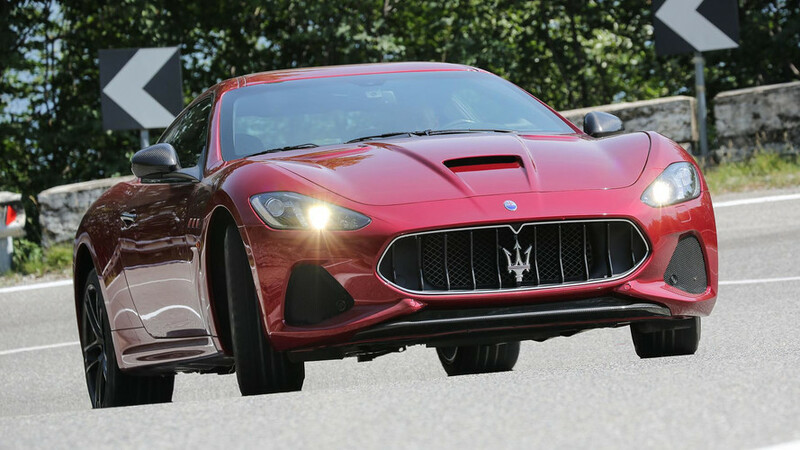 I recall some earlier coverage of the 2018 GranTurismo in which I opined about the new grille shape not fitting the GranTurismo as well as the gorgeous Alfieri concept car that inspired it, and wonder how I could have been so wrong. In person, the thing is gorgeous. At the very least, it helps keep the car looking new-ish, or at least from the same family as the Quattroporte and Levante. There are new rear bumpers, too, and together with the slicker nose, they help lower the drag coefficient from 0.33 to 0.32. I’m feeling familiar sensations: satisfying, granular road texture through the steering wheel; minute but distinct pulses of the V8; supple but stable body motions. I twist the key – yes, this 11-year-old, $134,625 2+2 coupe still requires that use your hand to insert a key it into an ignition switch, and twist. The reward for all that work is great, however. The GranTurismo roars to life and then settles into the same heavenly purr I’ve enjoyed in this car for years. Indeed, of the many familiar things I encounter in the 2018 GranTurismo this day, the engine sound is by far the thing I savor most. Sure, there’s a new standard Harmon/Kardon sound system but it never comes on. Maybe next time. 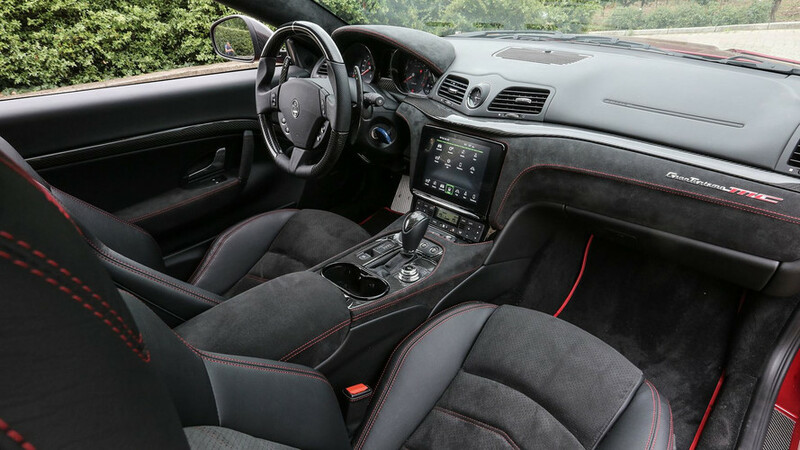 The next thing I notice is the clarity and pleasing graphical layout of the GranTurismo’s larger, 8.4-inch infotainment system, which allows a massive reduction in button count and an infinitely cleaner appearance that is surprisingly contemporary-looking. The center console has also been reconfigured to make room for the system’s knurled, wheel-on-a-wheel double rotary controller. While the system’s presentation and capabilities are not on the same level as the gigantic dual-screen setup in the Mercedes-Benz S-Class Coupe and Cabriolet, it doesn’t feel as behind-the-times as did the previous model’s system even when it was new. 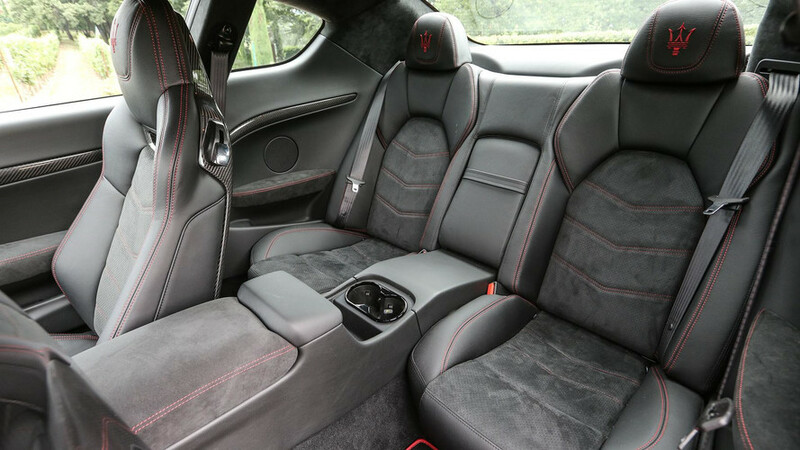 Something no Benz can touch, however, are the Maser’s conspicuous displays of hand-craftsmanship, including an elegant new treatment of the leather trim that surrounds the large display screen and redesigned console, including a raised leather strap crossing in front of the gearshift. Once I’m done touching this and adjusting that and deeply inhaling the aromatic scent of Poltron Frau leather that’s standard in the GranTurismo Sport, I’m off. And once again, I’m feeling familiar sensations: satisfying, granular road texture through the steering wheel; minute but distinct pulses of the V8; supple but stable body motions. This is the kind of dynamic finesse that only a century-old car company – make that a century-old Italian car company – can sort out. At 4,144 pounds, the GranTurismo never feels like a featherweight, but nor does it feel oppressively heavy, like the tank-like S-Class or the BMW 6 Series (which we should note has been discontinued in traditional coupe form as BMW makes way for the upcoming 8 Series). I have goo-gobs of power at my disposal, power that amasses in a dramatic crescendo as it approaches its 460-hp peak at 7,000 rpm. 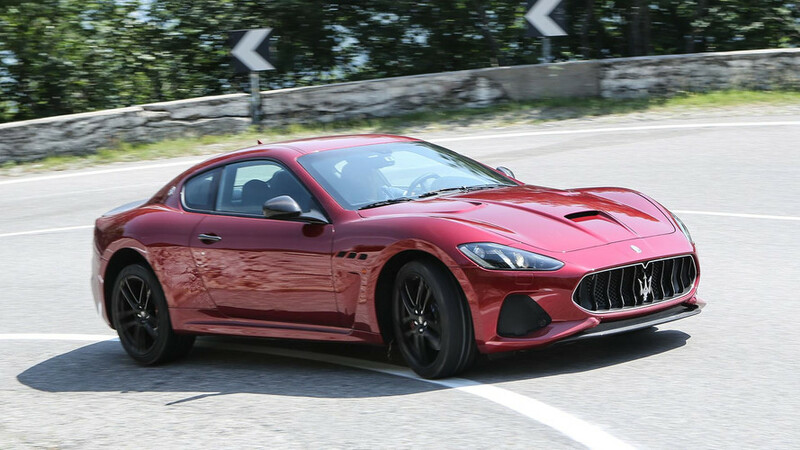 No, the GranTurismo feels large yet lithe, and I become keenly aware of both characteristics on a three-kilometer stretch of road that Maserati had the local Polizia close off, so that I could get rowdy with it (hey, it’s gotta be cheaper than renting a track). Situated at a moderate elevation in Lombardy around where its tall foothills start becoming Alps, the road is a high-speed dream-coaster, and it’s particularly illuminating to hustle a car this large at a clip that I would attempt only in accomplished sports cars like a Corvette or a Porsche 718. 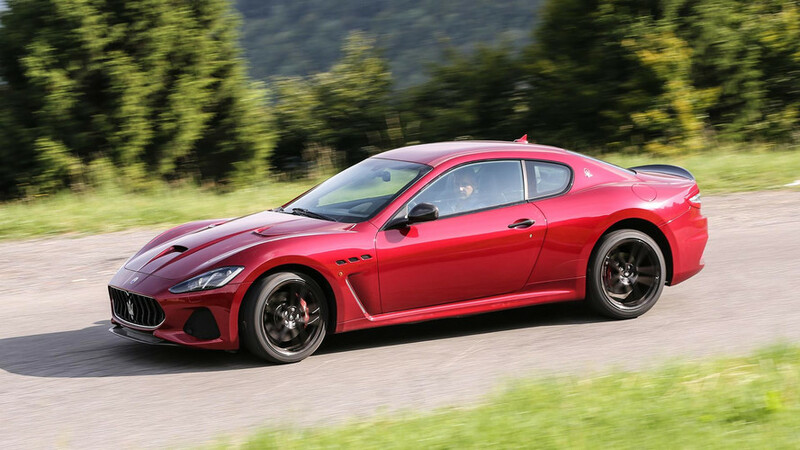 The GranTurismo feels buttoned down but not skateboard stiff over its bumpy sections, and as we hurl the thing into corners, the grip limits are high and well announced, and it never runs out of brakes. 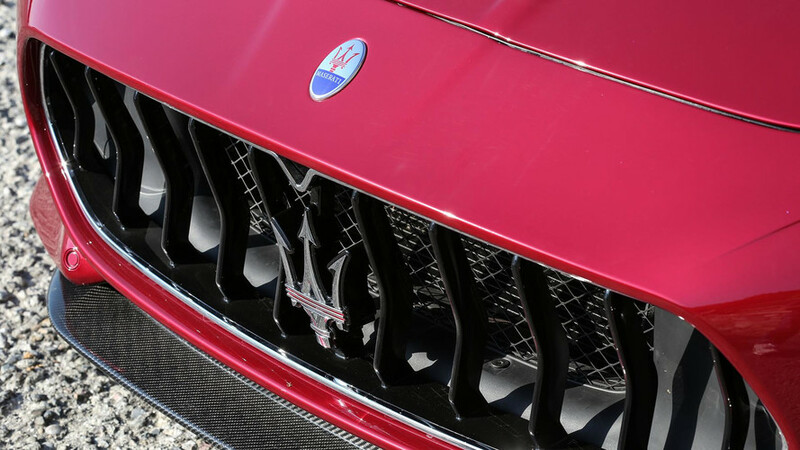 The engine – which Maserati hasn’t touched since 2013 – remains a prodigy, and as a high-revving, naturally aspirated V8, one whose days are numbered. And so I take every opportunity both on and off the closed course to enjoy it. Especially at higher revs, I have goo-gobs of power at my disposal, power that amasses in a dramatic crescendo as it approaches its 460-hp peak at 7,000 rpm, accompanied by sounds that I can only describe as triumphant. 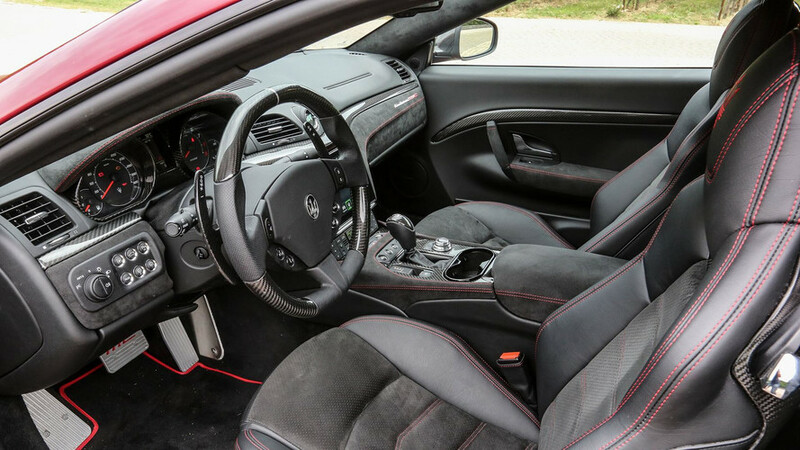 I run the pass in both the automatic transmission’s sport and manual modes, experiencing a few moments where the powertrain is caught rather flat-footed – blame the availability of only six gears – so I find the GranTurismo’s enormous shift paddles particularly useful for max fun. Back on open roads, dealing with a fair amount of traffic, I never push the car that hard again. 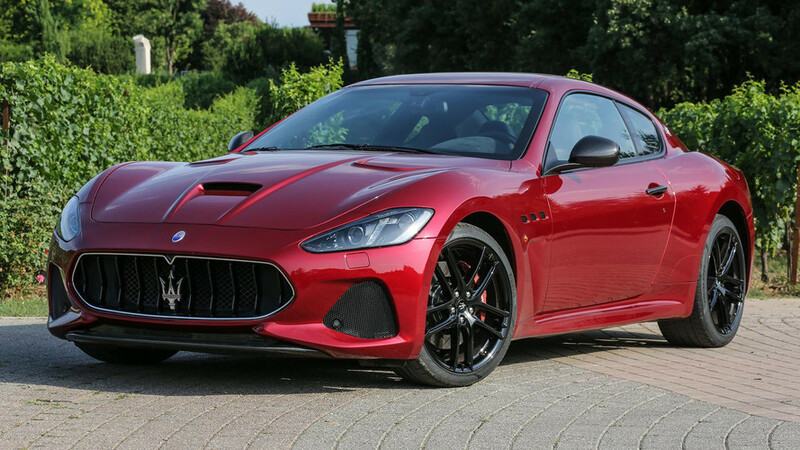 Yet I enjoy the serene calmness with which the GranTurismo manages more mundane mobility tasks, take in the view down the long, contoured hood, and wonder aloud if the Alfieri sports car will look and drive this nicely after 11 years on the market. 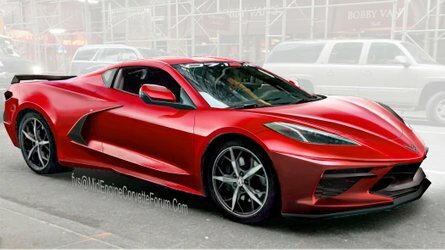 I won’t know for some time, given that it reportedly has been delayed until 2020, but I do know that it will be electrified in some way, so it likely won’t have the GranTurismo’s Ferrari-bred soul. 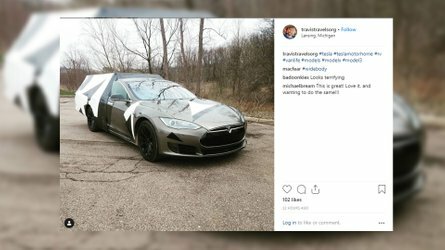 The good news is that this old relic – or is it a revival car at this point? – will likely remain with us at least until then, and you won’t hear me complaining one bit about that.